Bring a variety of songbirds to your garden with this Gardens Alive exclusive mix! 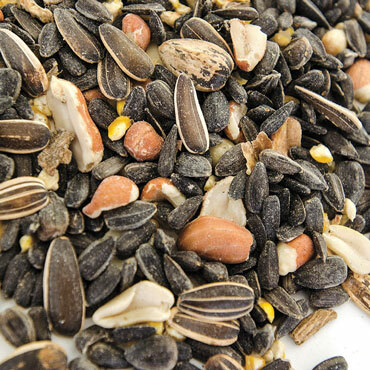 Our bird feeds are always made without filler, so you can rest assured that your avian visitors are getting the more delicious, nutritious feed they can find. This mix contains black oil sunflower seeds, striped sunflower seeds, peanuts, white proso millet and a bit of corn, which is a favorite of red-headed woodpeckers! But the woodpeckers aren't the only birds you'll see. Be sure to watch for chickadees, bluebirds, wrens, finches and thrashers to flock to this delicious mix. As a bonus, more birds in your garden means they'll enjoy munching on pesky garden insects for dessert.